This Peugeot 108 3 door, registration FA16NPO has a 1.0 Petrol engine with a Manual gearbox. Finished in the colour Laser Red, it was first registered on 30th Jun 2016. In testing the 108 achieved a fuel consumption figure of 68.9 mpg (combined) and CO2 emissions of 95 g/km. Highlights Include DAB Radio. Bluetooth Phone Preparation. Air Conditioning. Drivers Seat Height Adjustment. Adjustable Steering Column. 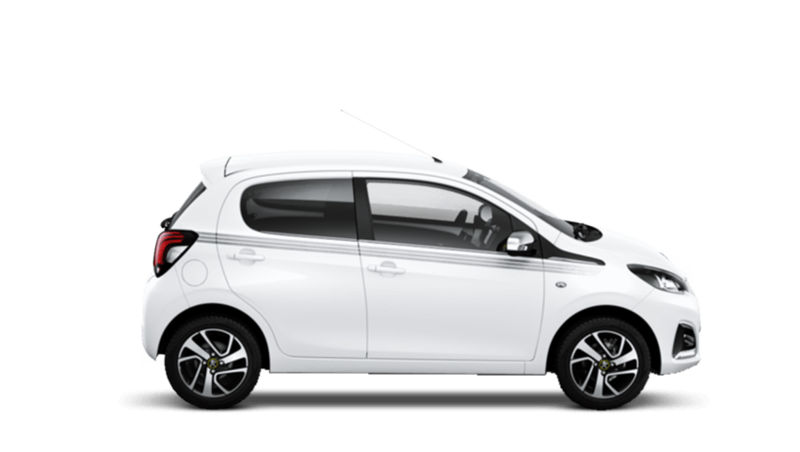 of Peugeot customers that bought a PEUGEOT 108 would recommend them to a friend. "I'd endorse Pentagon Lincoln because of the efficient customer service." "Pentagon Burton Peugeot were great because they explained how all the finance worked and go me the best deal. Ian was great, definitely recommend going and speaking to him." "Pentagon Scunthorpe were great because quick, easy and professional "
"The experience at Pentagon Burton Peugeot was great because we couldn't get a better deal anywhere locally "
"I was happy with the service at Pentagon Scunthorpe because I did not feel pressurised and felt Malcom was open and honest." "Pentagon Scunthorpe were really helpful and I'd recommend them because they dealt with getting me a new car efficiently everything was explained fully and I even received a follow up after from Karl who’s been amazing through all this process! Thanks Ka..."
"we had purchased a Traveller Allure and we informed that the garage we dealt with had lost their francisé so were transferred to Pentagon Scunthorpe I have been very impressed with their service when the rear window was faulty they quickly arranged for a..."
"I was pleased with Pentagon Burton Peugeot and would recommend them because he staff there were really friendly and helpful, and did everything in their power to ensure I was completely satisfied with not only the vehicle I purchased but also with the ser..."
"I'd recommend Pentagon Doncaster to anyone because they found me a suitable car to meet my needs and specific requirements efficiently and effectively - in fact the salesperson, Daniel Atkinson, found me a fantastic car within an hour of my initial contac..."
"Sales person very pleasant and knowledgeable would recommend"